This three bedroom two bath all one level, top floor unit is beautifully remodeled with hardwood floors, new paint and high ceilings. The newly remodeled kitchen is well stocked with everything you will need, there are 2 semi-updated bathrooms, new furnishings, gas fireplace and a nice deck with a filtered Lakeview. There is a flat screen TV in the living room as well as the master bedroom. There is a nice entryway for hanging coats and summer/winter clothing. Just outside the front door there is a lockable ski locker for all of your season equipment. 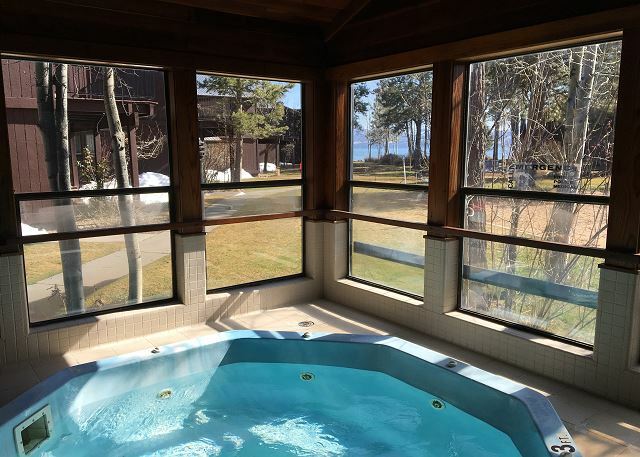 Lakefront development with swimming pool, beach, pier, tennis, large indoor spa(winter use only), clubhouse, volleyball court, various picnic facilities and adjacent to the public boat launch. 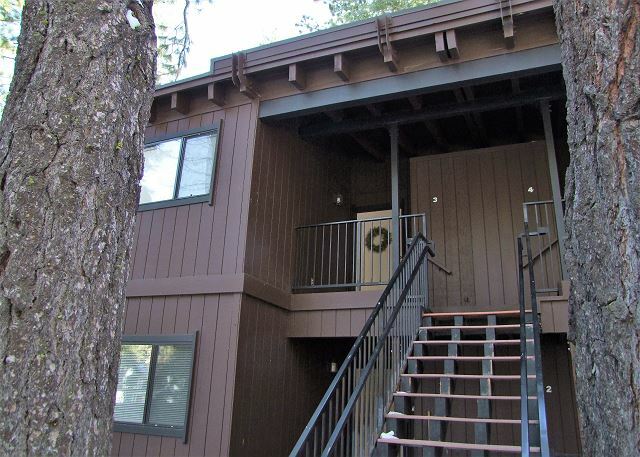 Close to public parks, bike path, hiking, other beaches and Tahoe City with fine dining, shopping and entertainment. Central location with access to Squaw Valley, Alpine Meadows and Homewood ski resorts. **The primary parking spot for the unit is the spot labeled 3 in the parking lot next to unit 5. The gravel parking area next to Lake Forest Road should primarily be used for unloading and loading and limited to only one parked vehicle so that others can unload and load, and park there. ***Smoking is not allowed in the unit. Do not drop cigarette butts on the ground when smoking outside on the condo property.